AIFA- OEM & ODM Service for wifi Remote Control, Airconditioner Remote Control, design wifi remote control app for iOS and android, bluetooth remote controller, wifi remote control and other smarthome homekit devices. We are very glad if you accept our invitation. We would like to arrange your exclusive meeting for our company overview of developing capacility, including wifi control design for iOS and Android system. 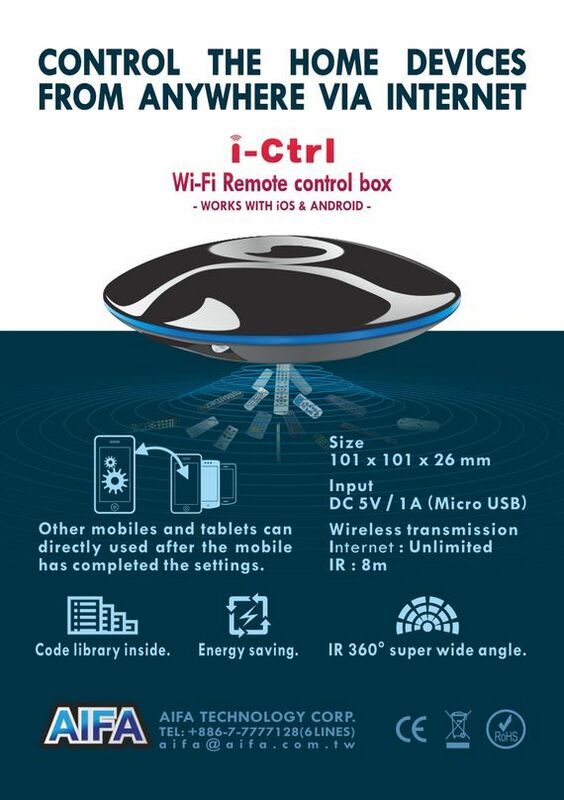 Welcome to buy the latest new AIFA TECHNOLOGY wifi control product i-ctrl, our extensive experience in software and hardware development and integration, will make you experience the wisdom of home appliances bring comfort and convenience. The combination of all kinds of household appliances through wifi wireless network controller, and control the use of a mobile phone app development has been the mainstream of wisdom appliances. 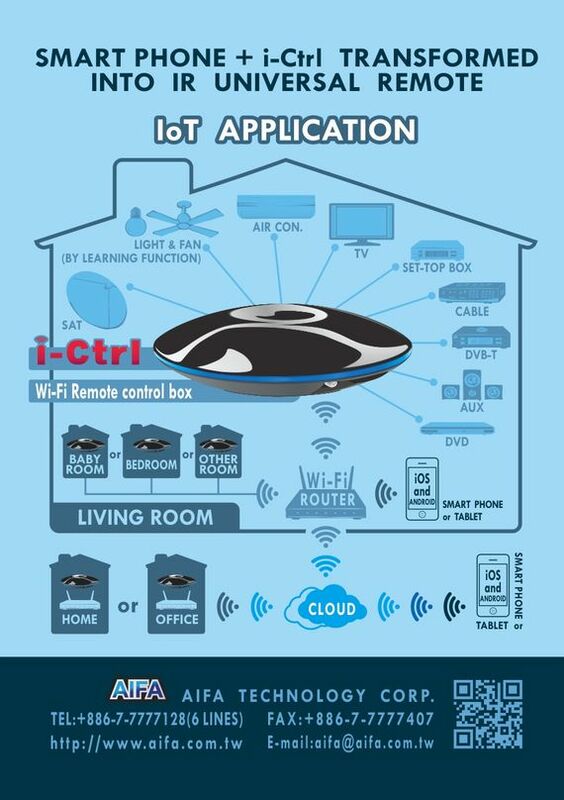 AIFA TECHNOLOGY has accumulated many years of experience in the development of remote control for controlling all kinds of home appliances is very experienced, it is one of many iot wisdom CE developers do not have. We invite you to use AIFA TECHNOLOGY The BTRC-02 and WIFIRC take you to the next generation of home life! Control your home devices by iphone wifi or smartphone from anywhere in the world! -Turn your devices on/off at a specific time. Prevent crime. -IR 360° super wide angle. -With learning function. Code settings and learned buttons can be shared with other mobiles.